Wife of Delta state governor and founder of 05-Initiative, Dame (Mrs.) Edith Okowa has harped on the urgent need for couples to allow God’s blessings manifest in their marriages by strengthening their bond of love for each other. 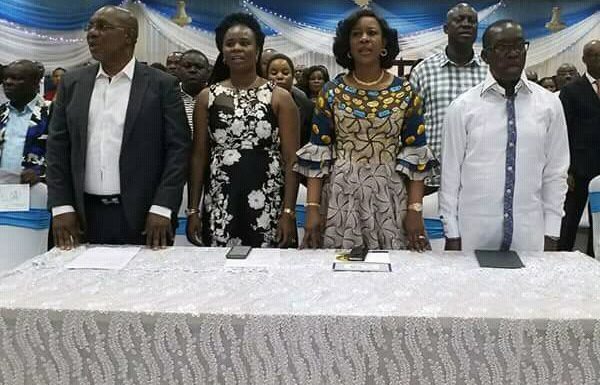 Dame Okowa made this call at the 2018 edition of Couples Forum, organized by the 05-Initiative for members of the state executive council, legislature, judiciary, elected and political appointees and their spouses on Tuesday, May 15, 2018 at the Unity Hall, Government House, Asaba. The home building programme tagged, Naked But Not Ashamed, attended by the state governor, Senator Dr. Ifeanyi Okowa, was also used to mark the 2018 Internatonal Day of the Family. 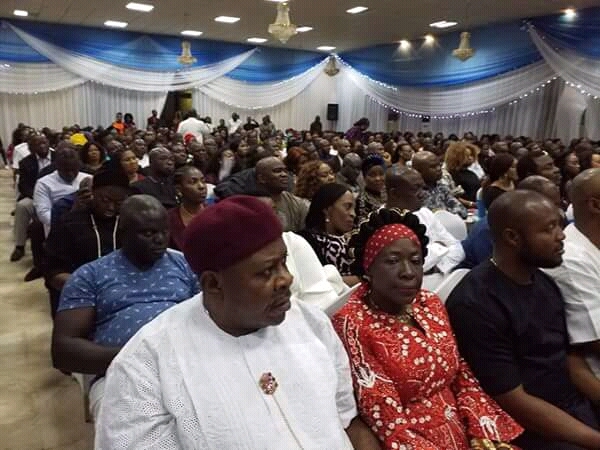 The First Lady, who emphasized that the annual Couples Forum has progressively transformed homes, encouraged couples to always appreciate the good values in their spouses to enable them experience overwhelming strength from God, hence everybody will give an account of their dealings on earth. 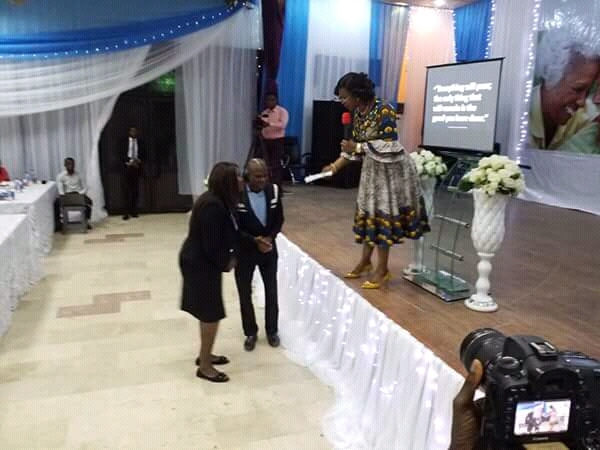 She thanked her spouse for availing the 05-Initiative of the opportunity to contribute to the spiritual, physical and socio-ecomomic wellbeing of Deltans, especially the less privileged in the society, adding that the feat recorded in families as a result of the prayers and counseling during annual Couples Forum, is encouraging and worthy of emulation. 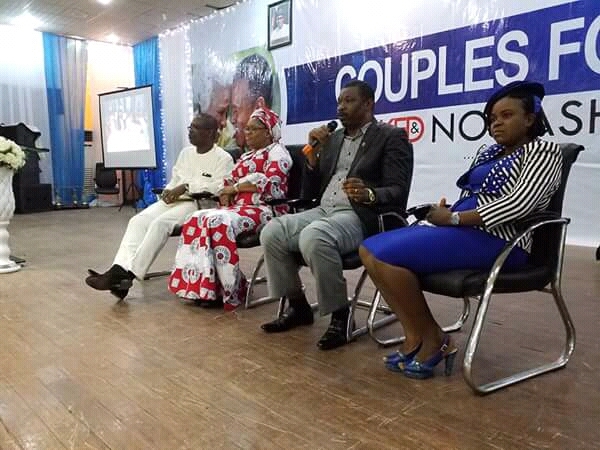 In the first talk, Pastor Olutomi Sodeinde spoke on the need for couples to ensure that trust, openness and understanding becomes their watchword in marriage, explaining further that fear of the unknown and separation due to social status without recourse to the first love has grossly affected families and homes. In the second talk, Evangelist Nnamdi Eze said that nakedness with shame is usually associated with sin, guilt, insincerity, unfaithfulness and infidelity in relationship while nakedness without shame allows partners to be financially accountable to themselves, truthful to each other and thrive in openness. 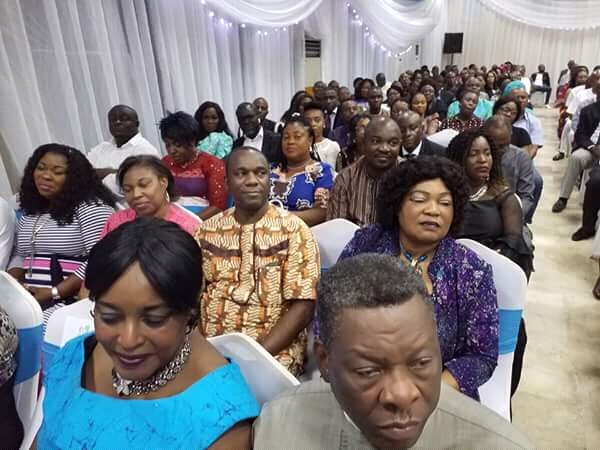 The Couples Forum which was spiced up with praise and worship, hymnal rendition, testimonies and prayers for families, government and people of Delta state and Nigeria was culminatied with an interactive session between Pastor Olutomi Sodeinde,Evangelist Nnamdi Eze alongside their spouses and the couples. Highpoint of the event was the presentation of gifts to Justice and Mrs. Maidoh and Mr. and Mrs. Umejei respectively.